When anglers and divers are prevented by legislation from participating in these activities, the fishing and diving gear retailers and suppliers lose valuable sources of income. Is legal action the way to go to protect the interests of these customers, and ultimately the tackle trade itself? Few people active in the fishing tackle retail industry will disagree that the past couple of years have been difficult. The economy has finally caught up with this product category, which had been buffered against the buying slowdown experienced by the rest of the industry, because when times get tough, the tough go fishing. At the past few SAFTAD shows many distributors and retailers told us that anglers were buying smaller, low cost items that require regular replacement like hooks, lures, sinkers and other accessories, but that they were keeping their rods and reels and other more expensive items much longer before replacing them. But, according to the import statistics supplied by the Department of Trade and Industry (DTI), even the value of hook imports have been down over the past two years. In 2014, the value of fishing tackle imports was 6% lower than in 2013 … and in 2013 the value of imports grew only 1% over 2012. Last year, the import value of most tackle categories were down from the previous year, with rods (19% down) and reels (11% down) having the biggest drop. Yet, fish hooks were 9% down on 2013 imports. Only the import value of accessories grew 5%. The last couple of years the number of units of tackle imported have also gone down — by as much as 33% in 2014 compared to 2013. In 2013 the tackle units imported dropped 16% from the previous year. The number of reels imported in 2014 was the only category that grew in 2013 (by 17%). But, the number of other tackle units imported was down considerably, namely nets 33% down, rods 14% down, hooks 32% down and accessories 36% down. This has affected big and small industry players — although the sale of Okuma Africa (formerly Akals) to Sensational Angling was not due to any losses made by the distributorship. In fact, they had been making good profits, says Lionel Crow. The Okuma Africa owner, the Midas Group, wanted to concentrate on their core business and decided to allocate the tackle floor space to motor parts, and therefore sold the unit, which comprised 1% of their business. The decision to sell the tackle business, which included top brands like Okuma, Elbe, Loomis & Franklin and many others, was taken in December and at the time of going to press the company was in the final stages of being wound up. Sensational supplies the local tackle trade with 30-odd international as well as their own local brands, across all fishing-related categories. But, while the Okuma sale is not due to loss of sales, many others in the industry are feeling the pinch. Therefore, when legislation limits the ability of fishermen to enjoy their sport in a certain region, it can have devastating effects on tackle retailers in that area. Simply put: you are certainly not going to sell any gear if people are not going to be able to use it. The successful court challenge of the total ban on the catching of copper (red) Steenbras in the Amathole/Transkei region in November last year therefore provided welcome relief for many tackle traders. The Border Deep-Sea Angling Association (BDSAA) challenged the national ban the Minister of Agriculture, Forestry and Fisheries (DAFF) had placed on the catching of red Steenbras by commercial and recreational fishermen in 2012. This was in terms of the Marine Living Resources Act 18 of 1998, which provides for the conservation of the marine eco-system and the long-term use of marine living resources. After DAFF indicated that they planned a total ban on the catching of red Steenbras in 2011, BDSAA member Gary Thompson applied in terms of the Promotion of Access to Information Act (PAIA) for the department to provide data why it would be necessary to ban the catching of the popular sportfish in the Transkei area, where there was no shortage of red Steenbras. DAFF refused to supply data and told him that they had already decided to publish draft regulations about the ban. Several attempts by Thompson, later joined by BDSAA, to gain access to the information the minister used to justify the total ban, were unsuccessful. They again stated that because traditional linefish stocks show signs of severe depletion, in particular, red Steenbras, catches of Red Steenbras and landings currently are not viable to sustain any fishery in the long term. Thus the drastic urgent measures were put in place to protect and recover their stocks in order to promote sustainability to support food security for future generations, DAFF wrote. BDSAA, its environmental officer John Rance, and Thompson, subsequently went to court. They argued that a distinction should be made between recreational fishermen who fish as a pass time, and commercial fishermen, who sell kilograms of fish. They argued that over-fishing by legally licensed commercial fishermen are responsible for the decimation of fish stocks —but that no fish species is in danger of becoming extinct due to recreational angling. BDSAA therefore argued that in view of the major economic impact, the ban on the fishing of red Steenbras need to be based on sound scientific data and research … but, that DAFF had no current scientific research to back their ban. Judge S Potterill agreed. 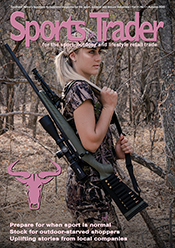 “To reach a decision that a total ban is necessary there must be research indicating that despite the imposed bag limit and closed season the Red Steenbras numbers are still declining. There is simply no such information,” he said in his judgement. DAFF, on the other hand, stated that because there are more recreational anglers than commercial boats, it was argued that recreational fishermen thus deplete stock more than commercial fishermen, said the judge. “This basis for equating commercial and recreational fishermen is rejected as being so clearly untenable that the respondents’ version can be rejected,” said the judge, who also pointed out that there was no substantial data to substantiate DAFF’s assertion. “The respondents (DAFF) denied the fact that it is known worldwide that overfishing by legally licensed commercial fishing and the effort of illegal fishing is the primary cause of the decimation of fish stocks. Yet, it was admitted that recreational fishermen must be juxtaposed against commercial fishing in which fishermen with commercial licenses catch several thousands of tons of fish every day,” said the judge. Instead of accepting the offer by the recreational fishing sector to work with DAFF, “it would seem that the recreational fishermen are just brushed aside, despite the important role they can play in conservation as a watch dog of the department,” commented judge Potterill. He set the ban aside, and awarded costs to the BDSAA applicants. In the Western Cape, the Recreational Fishing Services (RFS) has been fighting a similar fight as BDSAA — although in this case, DAFF has not placed a total ban on the catching of West Coast rock lobster. RFS, however, argue that the very limited season all but decimated the lobster industry and all who rely on it, including suppliers and retailers selling snorkelling equipment. The Easter weekend is the only time remaining of the current 21 days allowed for the West Coast lobster season. During the 17 open days in November and December, bad weather resulted in an estimated 72% of lobster permit holders not harvesting anything, and a further 11% recording only four lobsters caught. “Many people opted not to purchase a permit,” says RFS chairman Carey Steele-Boe. They have also unsuccessfully tried to obtain access to a study by Ryan Bax, commissioned by Dr. Johann Augustine, about the socio-economic impact of the West Coast lobster season on surrounding communities. At a joint meeting of RFS, commercial representatives from the diving and fishing industries and Deep Sea Angling representatives, it was decided that litigation was the only way forward “to insure that we still have a lobster season in the future”, says Steele-Boe. They will be modelling their proceedings on the methods used by BDSAA in their court application, and will be advised by Thompson of BDSAA. An association will be formed of all Western Cape stakeholders in the recreational lobster sector, including those who use the resource and those who indirectly benefit from it through industry or retail. They will also be doing their own research on lobster resources by gathering factual information about, for example, the total number of recreational permits issued since 2005. They will also be monitoring all the slipways through the Easter weekend and take a photo of each catch sheet to present the number of lobster catches during that period to the WCRL Scientific Workgroup. RFS have also asked the Department of Fisheries to remove Dennis Fredericks from his post as Chief Director of Marine Resource Management, because they claim he is responsible for the decimation of an entire sector of fishing, namely the recreational West Coast Rock Lobster sector. They blame Fredericks for reducing the TAC (total allowable catch) for recreational fishermen by 50% in 2012/13 — from 183 tons to 81 tons. “Two seasons later the recreational sector only has 69.3 tons, which equates to 21 days fishing,” says Steele-Boe. “This is currently having an extremely negative effect on coastal economies. All this was done without any conclusive research,” he says.